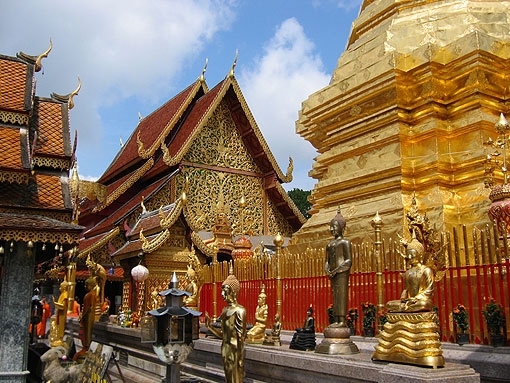 Doi Suthep (ดอยสุเทพ), is a mountain located in Chiang Mai Province, Thailand. 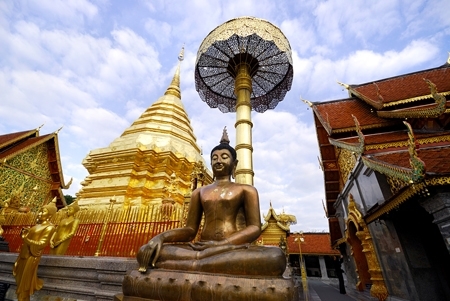 It is 1,676 m tall and is one of the twin peaks of a granite mountain located west of Chiang Mai. 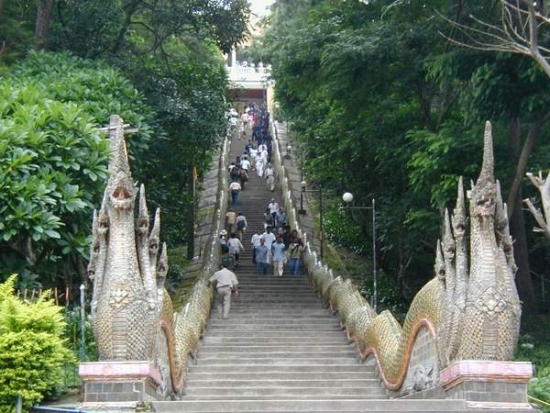 The other peak is known as Doi Pui and is slightly taller (1,685 m). 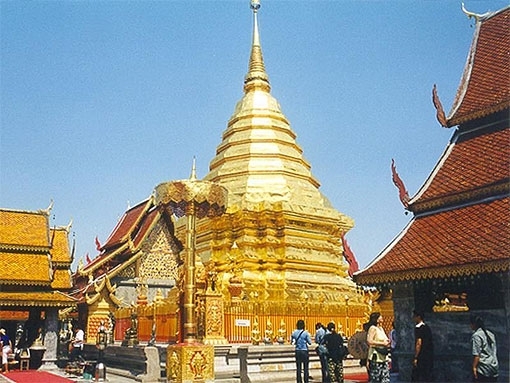 Panoramic view of Doi Suthep as seen from Chiang Mai Doi Suthep is located 15 km away from Chiang Mai city centre. Most of the bedrock of the mountain is granite. The vegetation below c. 1,000 m is mostly deciduous forest and evergreen above this height. View of Chiang Mai from Doi Suthep The Doi Suthep - Doi Pui hill is part of the Thanon Thong Chai Range, the southernmost subrange of the Shan Highland system. Other high peaks of the same range are Doi Luang Chiang Dao (2,175 m), Doi Pui (1,685 m), and Doi Inthanon, the highest point in Thailand, reaching 2,565 m.